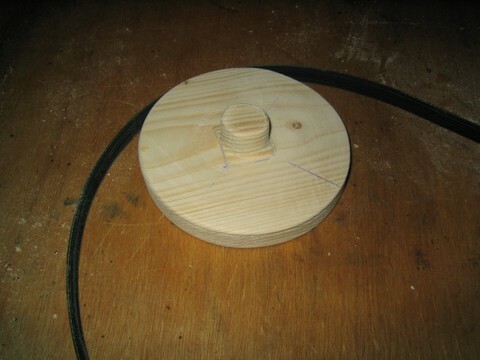 After a while on the lathe, the pulley is round! I use a wood rasp to remove the wood whilst the lathe spin it around. You can also see the belt which came with my washing machine motor, which eventually will go around the pulley. Allan, who I used to work with, donated the motor from his old washing machine. Cheers!